Filmmakers Norberto López-Amado and Carlos Carcas release their documentary on the British architect. 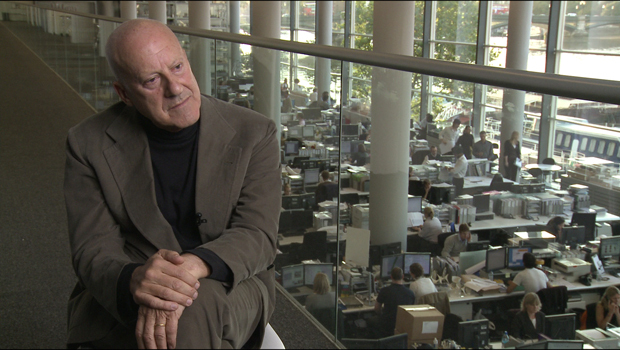 There’s a new architecture documentary of Norman Foster out, adding the British architect to the movie-star ranks of Rem Koolhaas, Frank Gehry, and Louis Kahn. From the looks of it, though, it’s closer to The Third and the Seventh–beautiful, sure, with slow, majestic panning shots, but oh so deadly serious. Is that a problem? Avatar-like production values (and a similarly heavy-handed narrative) might make architecture feel more powerful to movie-goers, but it won’t necessarily make it more accessible, or make more girls ask their parents for Architect Barbie. 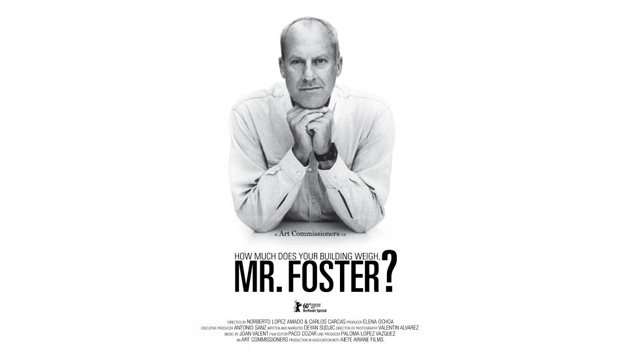 In fact, it’s ironic that the film takes as its title a Buckminster Fuller quote (not meant for Foster directly), criticizing over-the-top, pompous architecture. For us to take them more seriously, it seems, architects need a sense of humor. Or even better: the BBC’s New Town, a short-lived but hilarious show about Purves and Pekkala, a Gilbert-and-George-ian architect couple in Edinburgh. The all-black flat they live in, their matching Corbusier glasses, their attitude: it’s all perfect. Of course, without films like How Much Does Your Building Weigh–so serious it’s almost satire–New Town wouldn’t be as funny as it is. But one thing’s for sure: If Purves and Pekkala made a movie, it’d look a lot like this–and they wouldn’t be joking.